As the Loyola class of 2018 goes on to “set the world on fire” and the remaining students scatter across the country for the summer, Loyola’s administration is likely breathing a sigh of relief the semester is over after the year they had. However, a new academic year doesn’t wipe the slate clean. Loyola’s administration needs to know when classes start Aug. 27, The Phoenix will be bringing attention to the same issues which affected Loyola students this year. This summer can’t be a way for Loyola to hide its blemishes. Instead, Loyola needs to spend these months finding solutions to its many problems, because they aren’t going away. This year, The Phoenix reported Loyola’s Campus Safety department underreported crime in Rogers Park to the student body compared to the Chicago Police Department (CPD). The Phoenix has also found miscommunication between crimes Campus Safety said it referred to CPD and crimes CPD had accounted. Campus Safety was also involved in one of the biggest controversies on campus this year when a student was detained and another student was grabbed by the collar after officers searched alleged scalpers outside Gentile Arena Feb. 24. The incident kicked off the #NotMyLoyola movement and has since been the cause of a petition, walkout, town hall, external investigation, task force and a civil rights lawsuit. The university has shown signs of trying to fix the problem. 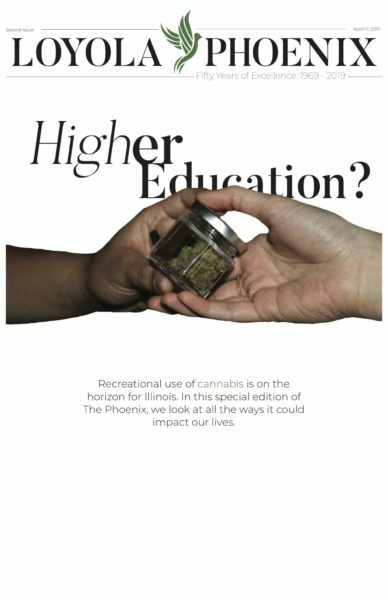 However, as The Phoenix Editorial Board recently wrote, the university needs to have a clear plan of action before real change can be made. “There will be no more downplaying of the situation or brushing it off,” said Robin Branton, a member of the Black Cultural Center after the incident occured. But brushing it off is exactly what has happened. The timing of Loyola’s run to the Final Four was a gift for Loyola’s administration in allowing the problem to, hopefully, fade away. Sure, the school has made promises for change, but seeing is believing. Using the momentum of the #NotMyLoyola movement, Loyola’s non-tenure track faculty went on a one-day strike and brought a contentious end to the faculty’s two-year fight for a contract agreement. Loyola claimed unions go against Catholic Social Teaching while at the same time Georgetown University, another Jesuit institution and one of Loyola’s aspirational peers, allowed its graduate students to unionize while Loyola refuses to negotiate with this group. 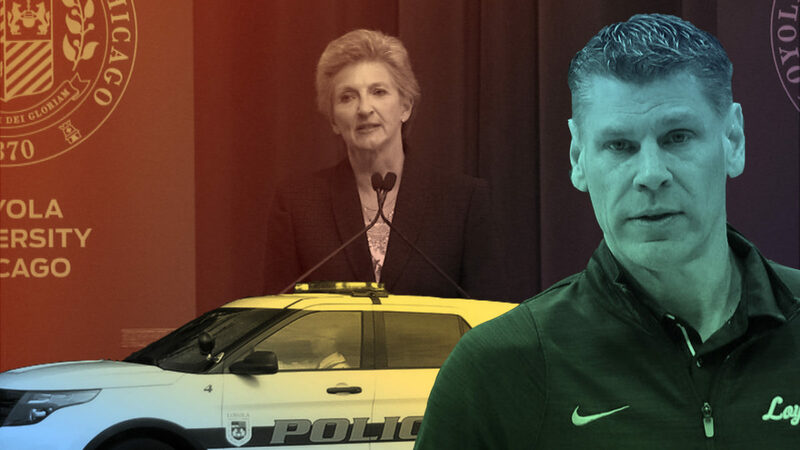 This movement was also overshadowed by March Madness, and, even though an agreement was eventually reached April 27, the fight showed Loyola still has a long way to go on labor issues. Loyola also raised tuition 2.4 percent this year. Tuition has gone up every year for the past decade and the cost of room and board is also increasing. President Jo Ann Rooney said this year’s increase is the smallest in recent years. But a $1,000 increase is still impactful on the lives of many Loyola students. The cost of housing and meal plans will also be increasing for the 2018-19 academic year despite an ongoing housing shortage on Loyola’s campus. The Phoenix reported nearly 22 percent of first-years lived in triple bedrooms which were built to house two, and 248 upperclassmen were put on a deferred housing list in March. Loyola is packing underclassmen into tiny rooms and doesn’t have a place for many upperclassmen who wish to live on campus. Loyola is currently dealing with problems with the transparency of the Campus Safety department, racial tensions, labor issues, continuing tuition increases and a housing crisis. The school got lucky this semester when the basketball team went on a historic run to the Final Four and now it’s getting lucky again with the end of the semester. Summer break and the NCAA tournament both effectively hid Loyola’s most glaring problems. Students can’t forget these problems over the summer and should come back to campus in the fall with a continued passion for improving their school. Good, Phoenix. Have at it! It needed Flickr to work seamlessly with Yahoo Mail.